Another hardened criminal bites the dust! 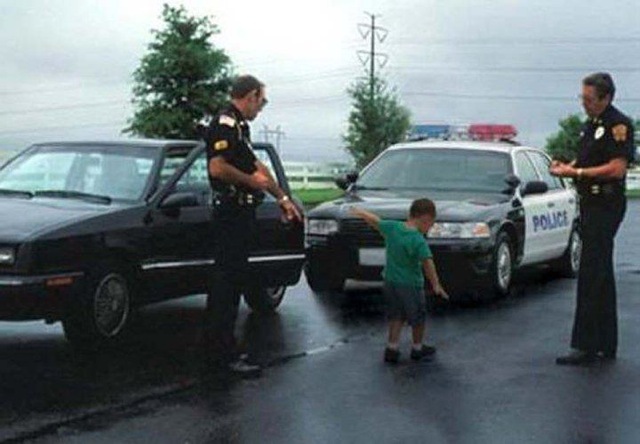 OK, I know that this photo is (most likely) a fake, but I have seen too many instances of hardened criminals in form of old ladies being pulled over, that I consider a scene like that impossible. And, by the way, the primary goal for our men in uniform is to go home to the family safely – and not to protect us. That means all these cops flicks with Bruce Willis are just propaganda. This entry was posted in Fun Stuff, Philosophical, Politics, Thoughts and tagged brave men, bruce willis, Cops, criminals, flicks, men in uniform, old ladies, propaganda on November 20, 2012 by Merlin Silk.